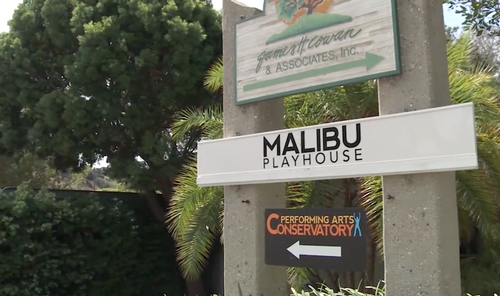 The Malibu Stage Company (a non-profit 501(c)3 corporation) was founded by Charles Marowitz and Jacqueline Bridgeman in 1990 as Malibu’s only professional theater company. Mr. Marowitz – an internationally renowned director, playwright, author and theater critic – served as Artistic Director until 2002. Performances began at the Smothers Theater at Pepperdine University, until the beginning of the 2002-03 season, when the company took up residence at the former Shepherd-by-the-Sea Lutheran Church, which was converted into a fully equipped, state-of-the-art 99-seat Equity theater. After Mr. Marowitz’s departure, Christopher Hart was named Artistic Director, and during his tenure, he directed critically claimed productions of Side Man by Warren Leight and Light Up The Sky by Mr. Hart’s legendary father, Moss Hart. Playwright and screenwriter Oren Safdie served as Interim Artistic Director in 2006, during which time several of his plays, among others, were presented as world premiere productions. In 2007, Richard Johnson was named as the Artistic Director of the Zuma Repertory Company, re-named the Malibu Stage Repertory Company in 2008. During Mr. Johnson’s tenure, Malibu Stage has produced full four-production seasons of Pulitzer-Prize winning plays and musicals and has been nominated for many Los Angeles Stage Alliance Ovations Awards, winning for “Featured Actress in a Play” (Tasha Ames, Rabbit Hole by David Lindsay Abaire and directed by Malibu Stage Company board member, acclaimed film director, Graeme Clifford).